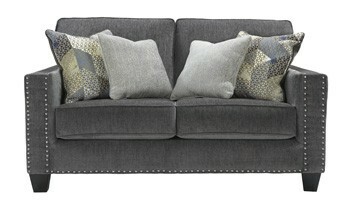 Time to go gray? 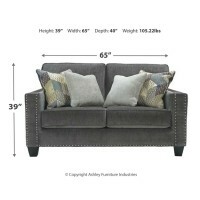 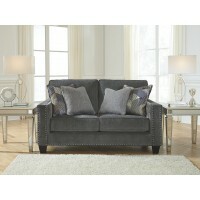 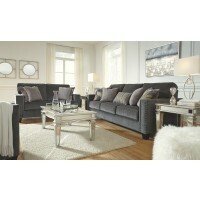 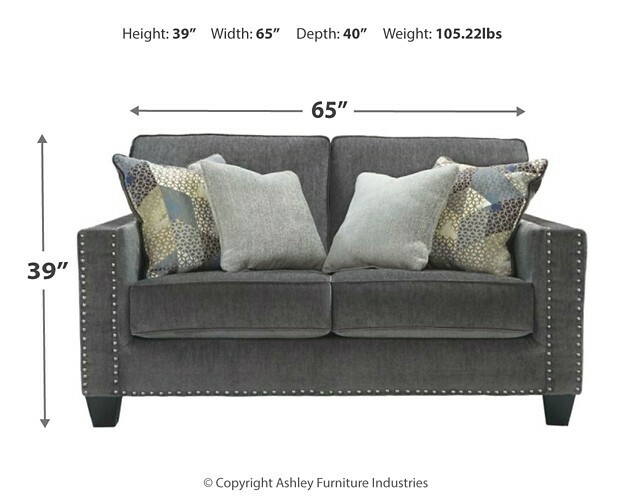 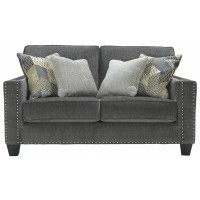 Find your fill of comfort, style and sophistication in this loveseat. 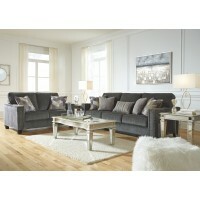 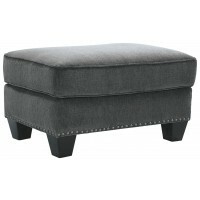 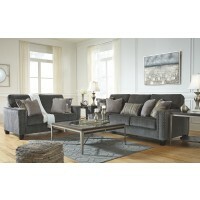 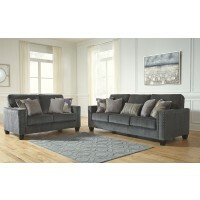 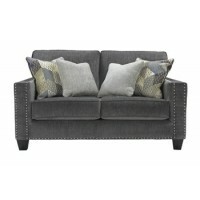 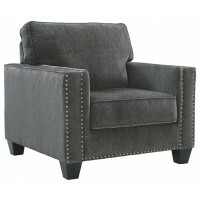 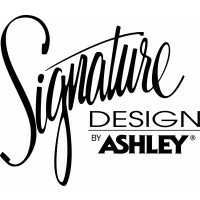 Its smoky gray upholstery is sumptuously soft to the touch and beautifully on trend. 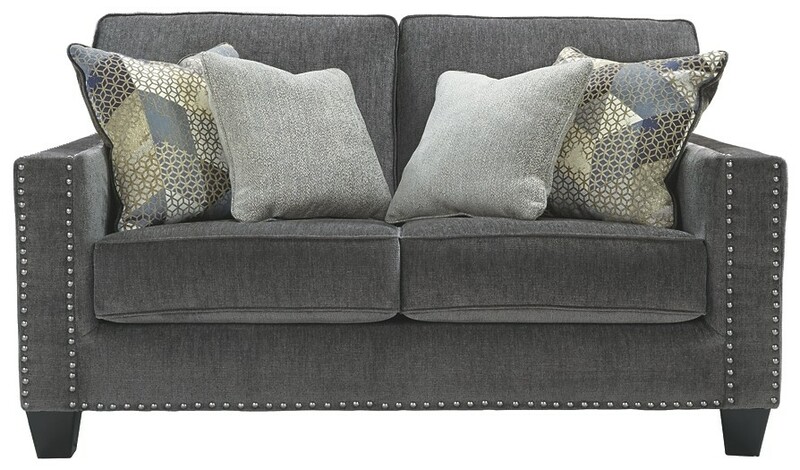 Ultra clean lines punctuated with black nickel-tone nailhead trim give this gorgeous gray loveseat a cool, contemporary edge. 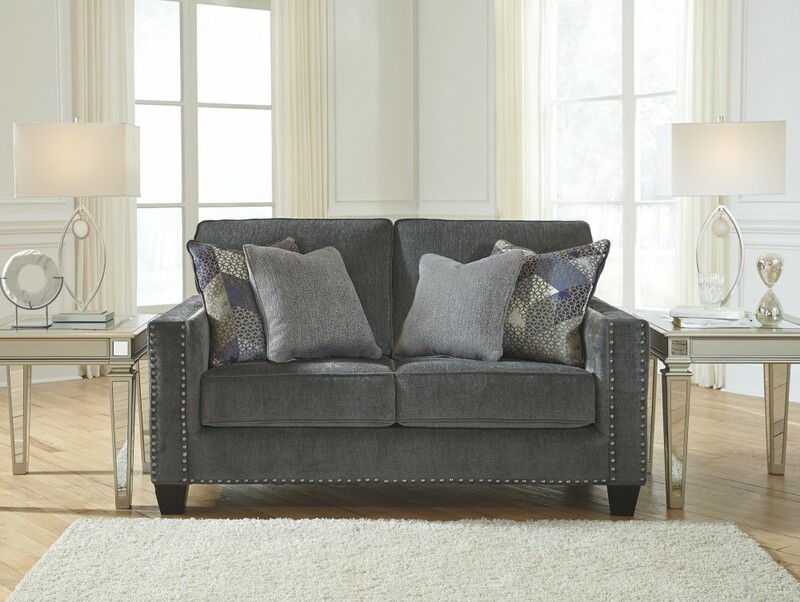 Edgy, arty accent pillows make that much more of a splash.